If you are unavoidably detained and arrive late, our golf staff will do their best to accommodate you whenever possible. However, to provide the best experience for other golfers, we ask that you arrive at least 30 minutes prior to your tee time—to allow for your check-in at the pro shop, golf cart assignment and an adequate warm-up. 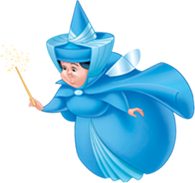 If your plans or party size have changed, please call the Golf Master Starter at (407) WDW-GOLF or (407) 939-4653 to cancel or modify your reservation. Guests under 18 years of age must have parent or guardian permission to call. If you made your tee time reservation online, you are also able to cancel online. Please try to contact us at least 24 hours before your tee time to cancel or modify your reservation.